Quality Assurance ISO9001: 2008 and ISO/TS16949: 2009 and GMC of TUV ( specially for auto industy) certification. Machining Equipment Machining Center / CNC Lathes / Grinding Machines / Milling Machines / Lathes /Wire-cuts / Laser Cuts / CNC Shearing Machines / CNC Bending Machines / etc. Inspection Hardness tester,Image measuring instrument,Three-dimensional measuring instrument etc. File Formats Solid Works,Pro/Engineer, AutoCAD(DXF,DWG), PDF,TIF etc. 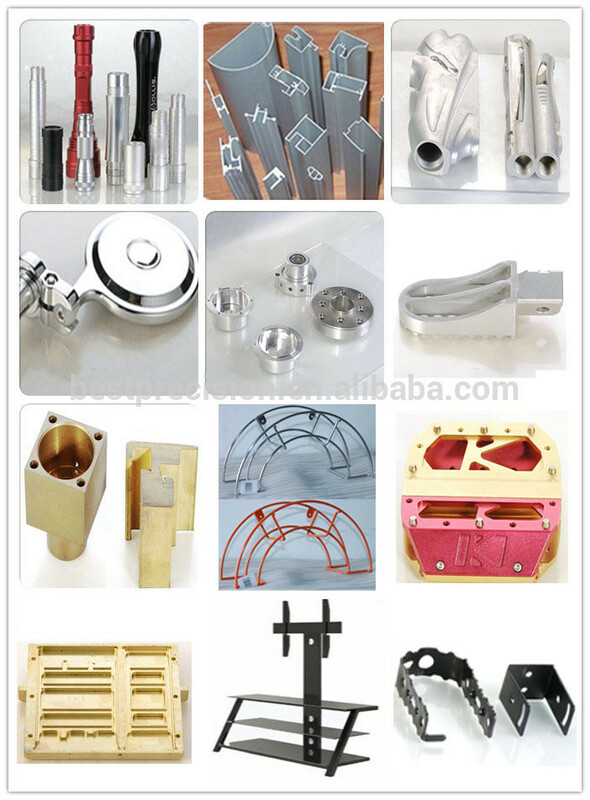 (1) We are professional precision metal parts manufacturer for over 12 years in shenzhen of China. 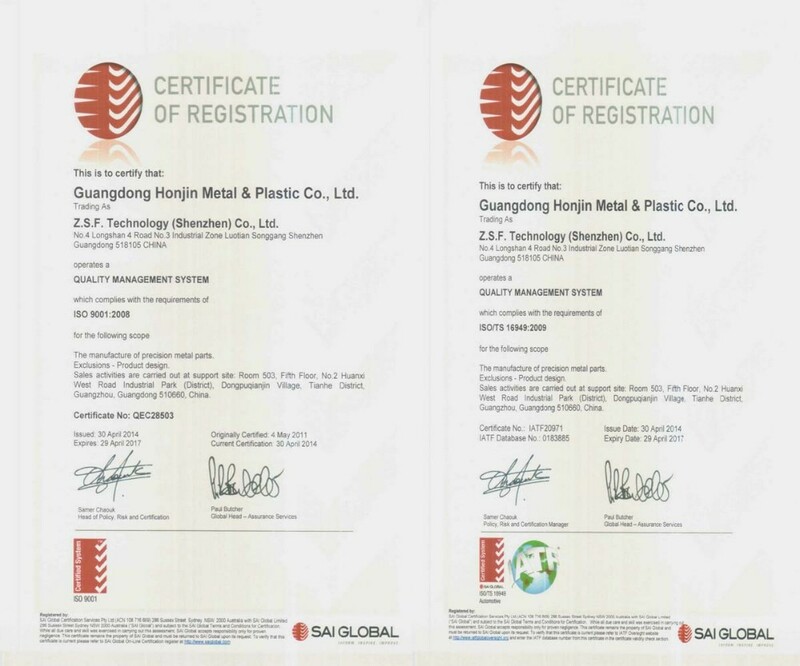 (2) Our factory have got through the ISO9001: 2008 and ISO/TS16949: 2009 and GMC of TUV ( specially for auto industy) certification. (4)higher quality and reasonable price because we have rich-experiece production workers and engineers and strong raw material purchasing team. (5)professional sale service in time for both before-sale and after-sale by Email, Telephone and face to face. (6)We always take part in some exhibitions about metal parts industry in the US and Europe (usually in Germany) every year. (1)We can accept a variety of shipment ways like: By express, by air, by sea or other ways. (2)We can directly send goods to the address which is required by customers. We also can accept to send goods to the freighter company which is appointed by customer. (1)Our professional salesmen will patiently answer all inquiries and questions from customer within 12 hours by email, telephone, face to face and chat tool like trademanager or skype or QQ. (2)if our salesmen can’t answer or solve customer’s some very professional or important questions right now, they will note well what customer mentioned and tell it to our engineers and manager in time and then reply customers ASAP. (3)We will advise all feasibility of processing scheme to customers considering to save customers purchasing cost. Whatever questions you have, pls feel free to contact us by email or telephone (you can get it in our website). Of course, very welcome to visit us if you interest.